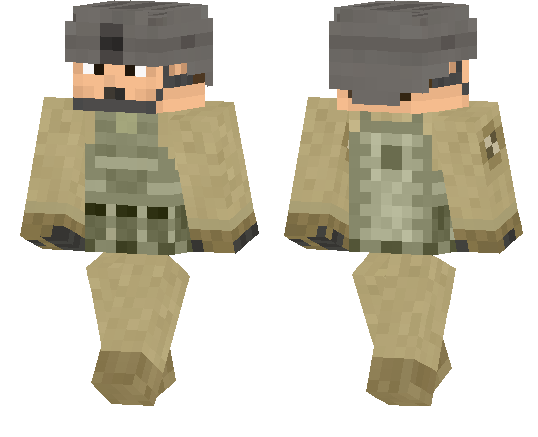 Army Pilot skin for MCPE 1.2.0, 1.2.3 tell you a little about what you need to do in this or that situation. But this does not mean that just trying on a new pelt on yourself will not need to do anything for this. To begin with, select the appropriate maps or seeds, where you will appear in the image of a military pilot. It will also be interesting to appear in a new image on your favorite server and thereby surprise your friends, enemies and even mobs! What is the salt of the Army Pilot skin? This image is directly related to the army, and therefore cool to test it on the respective locations and biomes. Choose the ones with the most hostile mobs, various bosses, creepers and other evil spirits trying to instantly destroy you, should you just appear on their horizon. Army Pilot for MCPE 1.2.0, 1.2.3 skin will also be relevant for testing new add-ons that add cool aircraft to the Minecraft Pocket Edition game world. If they still function, it is generally great. You should not spend your strength and money on creating something unique and original when it has already been created and is ready to surprise you and your comrades. As for me, such a skin is not only interesting in terms of functional changes, it has a solid and presentable appearance, but many miners are striving for such changes, isn’t it ? !